The head of Pakistan's powerful Directorate of Inter-Services Intelligence (ISI) offered his resignation to the country's prime minister on Friday as he sought to defend the role of the spy agency. Lieut. Gen. Ahmed Shuja Pasha, the ISI chief, conceded that Osama bin Laden's presence in Pakistan had been an "intelligence failure" and that he was prepared to step down and submit himself to any scrutiny, parliamentarians from both government and opposition parties told TIME on condition of anonymity. Gen. Pasha was speaking at a rare, closed-door briefing to Pakistan's parliament where the lawmakers swore an oath not to reveal details discussed. "I present myself to the Prime Minister for any punishment and am willing to appear before any commission personally," Gen. Pasha said, according to the parliamentarians who spoke to TIME. "But I will not allow the ISI, as an institution, or its employees, to be targeted." According to those present, the general offered his resignation to Prime Minister Yousuf Raza Gilani, but it was neither accepted nor openly declined. "He did offer to resign, but there was no reaction," a parliamentarian tells TIME. During the briefing, the spymaster was subject to rare and fierce criticism from opposition lawmakers. Pasha is serving the final year of a two-year extension as ISI chief. He was appointed by, and remains close to, Army Chief Gen. Ashfaq Parvez Kayani. Sources close to the military told TIME that Gen. Pasha had offered Gen. Kayani his resignation before the corps commanders' meeting at military headquarters on May 5, but the army chief declined to accept it. The ISI has been subject to rare public criticism and scrutiny since the U.S. Navy Seal raid on Osama bin Laden's hiding place, in a compound in the Pakistani garrison town of Abbottabad. The revelation that he had been hiding in plain sight has been a source of deep embarrassment for many Pakistanis, with some calling for "heads to roll." The failure to locate him, and the unilateral U.S. decision to capture and kill him, has set off allegations of complicity or incompetence. While no evidence has emerged of Pakistan hiding bin Laden, the country's military leadership has struggled to respond to the crisis as tensions have risen with the U.S. In what lawmakers present described as an emotional speech, Gen. Pasha determinedly pushed back against suggestions that the ISI could have had any role in hiding Bin Laden. "If we had shielded Osama bin Laden, why would we have killed and arrested so many al-Qaeda leaders?" he asked with discernible indignation, according to parliamentarians. "Would we have hidden such a large target in such an exposed area? Without any guards or escape route? Our job is safeguarding the country." The CIA, Gen. Pasha said, did not share intelligence with the ISI in the lead up to the raid. The enduring threat posed by militants linked to al-Qaeda was on brutal display earlier in the day when two suicide bombers attacked recruits from the Frontier Constabulary paramilitary force at their training center in the volatile northwest. At least 80 people were killed, just as the recruits, who had graduated a day before, were preparing to board vans and head home for leave. The attack, which was claimed by the Pakistani Taliban, was the first retaliation in the country for the slaying of bin Laden. The Pakistani security forces were being targeted, the Pakistani Taliban claimed, because they had failed to protect the country from the U.S.
During the closed-door briefing in parliament, Pasha vented his own frustration at the U.S. "We are at a point in our history," he said, according to two parliamentarians, "where we have to decide whether to stand up to America now or have [following] generations come to deride us." His American counterparts see Gen. Pasha as partial to recalcitrance. One senior western diplomat in Islamabad describes Pakistani spy chief as "intense," especially in comparison to his army chief. Kayani was also at the briefing, but remained characteristically quiet throughout. Relations between the ISI and the CIA have been in decline since December 2010, when the U.S. spy agency's Islamabad station chief was forced to leave after his identity was exposed. 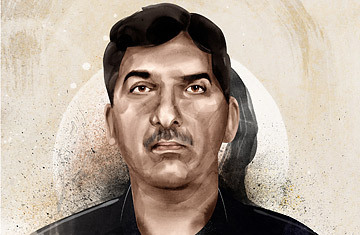 At the time the CIA alleged that the ISI was responsible for leaking the station chief's name, in retaliation for Pasha being named in a New York City case involving victims of the 2008 Mumbai massacre. Tensions rose further during the six-week standoff over Raymond Davis, a CIA contractor who had been held in Pakistan for killing two Pakistani men in February. During an exclusive interview with TIME on Wednesday, Prime Minister Gilani said that he could see "no level of trust" between the CIA and the ISI. Gen. Pasha reinforced the observation at the briefing, when he recalled his last meeting with CIA chief Leon Panetta in April, a fortnight before the Bin Laden raid. At that meeting, Pasha said, he had told Panetta that arrangements between the U.S. and Pakistan were all unwritten, and that he had said such a situation could not go on any longer. Pasha was the third military leader to speak before the lawmakers, and the only one not in uniform. At the start of his speech, the general, though he conceded intelligence failure, passionately defended the ISI. He argued that the U.S., U.K. and India did not ridicule their intelligence agencies after 9/11, the 2005 London subway bombings and the 2008 Mumbai massacre. In those countries, retorted Senator Pervez Rashid of former Prime Minister Nawaz Sharif's opposition party, there is no history of military takeovers, a not unsubtle hint to the primacy of the armed forces in Pakistani politics. "There was no response from Pasha," says a parliamentarian. Perhaps the most popular intervention came from Javed Hashmi, a veteran from the southern Punjabi city of Multan. "We are with you," Hashmi, who served five years in prison on trumped up charges of "subversion" against the military. "We know that you have lots of responsibilities. How about you give some of them back to us?" The light-hearted remark aroused smirks on both sides of parliament, and led to loud, desk-thumping approval. See a video of where the U.S. goes from here. See TIME's complete coverage of Osama bin Laden.